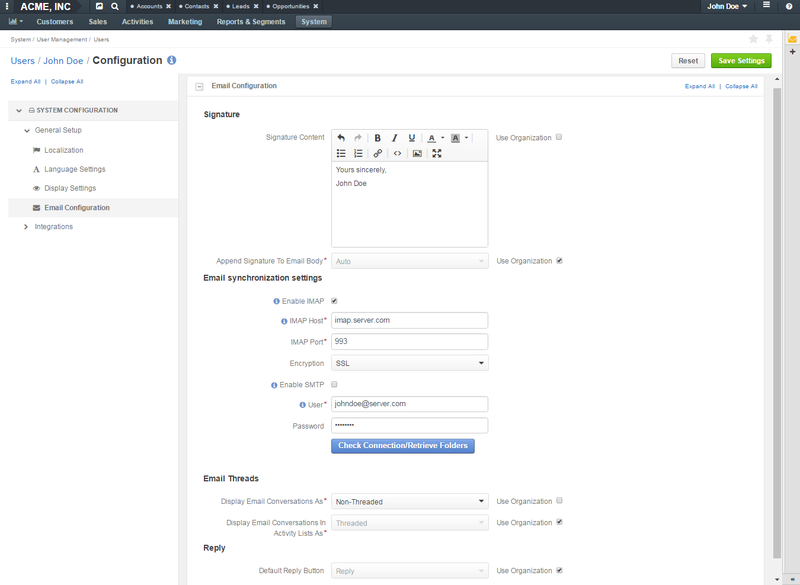 In OroCRM, you can configure available system settings on four configuration levels: system, organization, website, and user. 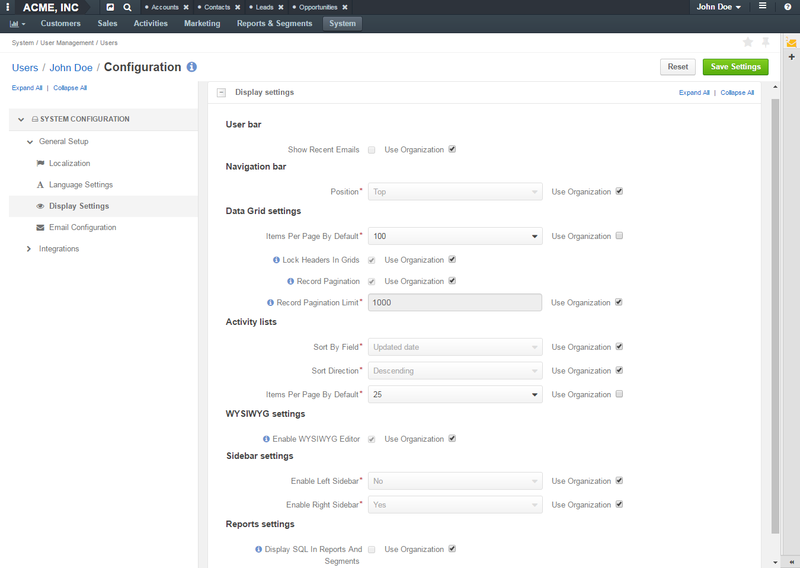 On user level, there is a number of options that you can configure specifically for your application instance, but which will not affect system-wide or organization-wide configuration. 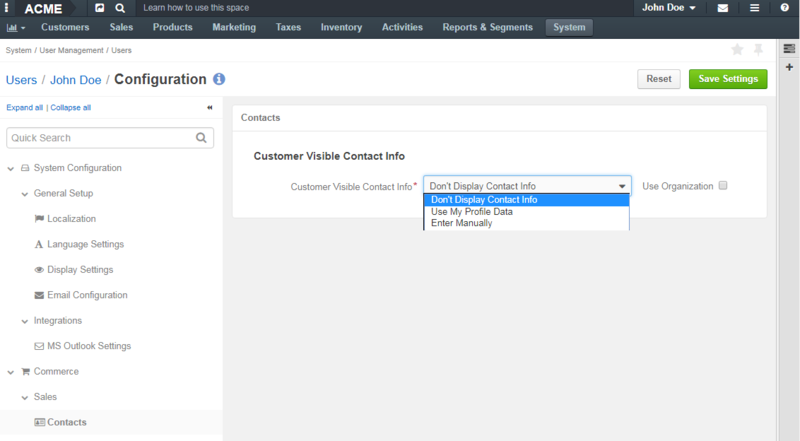 Here, for instance, you can update the contact information of the primary assigned sales representative, or change your email configuration settings. 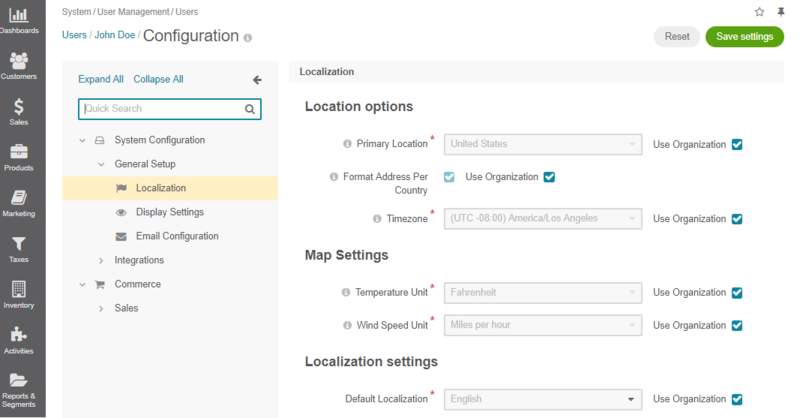 Default Localization The default language of the management console and storefront UI for the current website. Select System Configuration > General Setup > Display Settings in the menu to the left. Position Select whether the OroCommerce main menu will be positioned at the top of the page or on its left. Enable Left Sidebar Select Yes to enable the user to see and utilize the left sidebar.